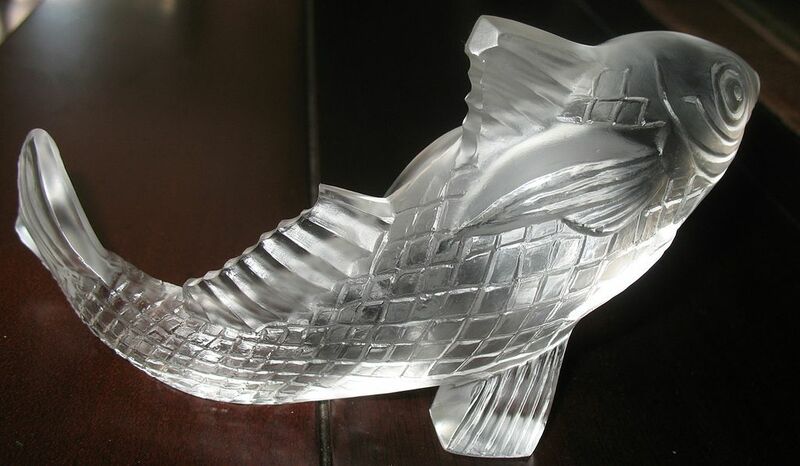 This is a vintage, frosted crystal glass carved fish or carp sculpture by Baccarat France. 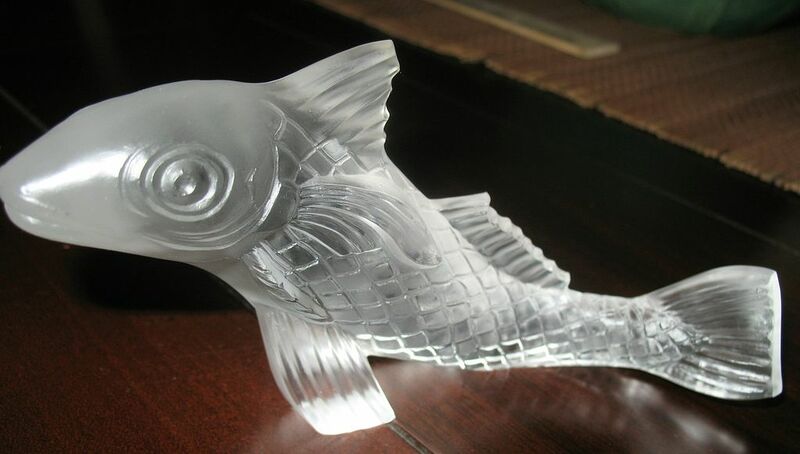 The fish is curved and stands nicely on the fins. 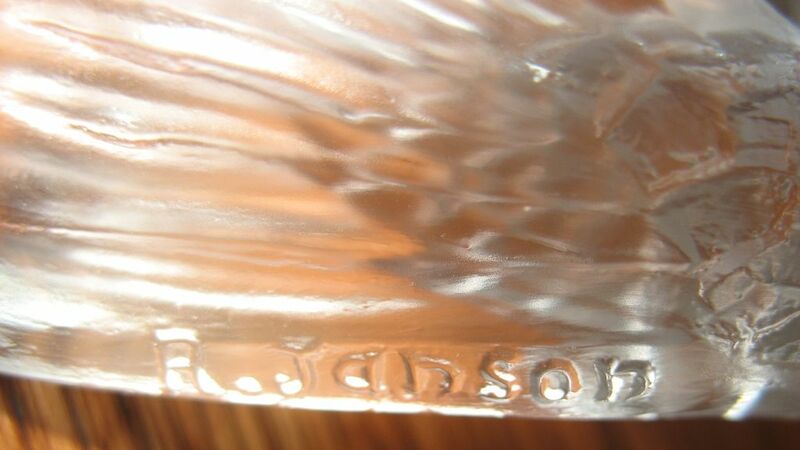 It is inscribed by the artist, R. Janson, on the tail area. 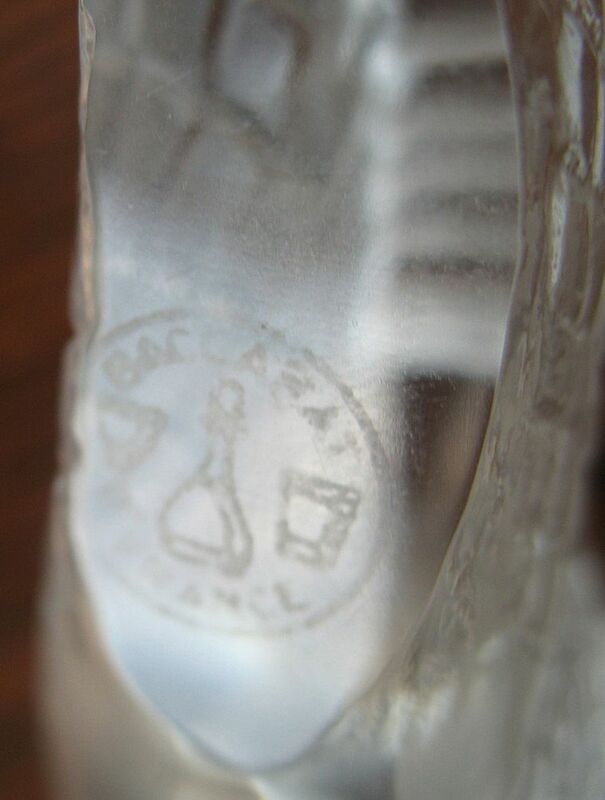 The Baccarat France incised logo is on the bottom. 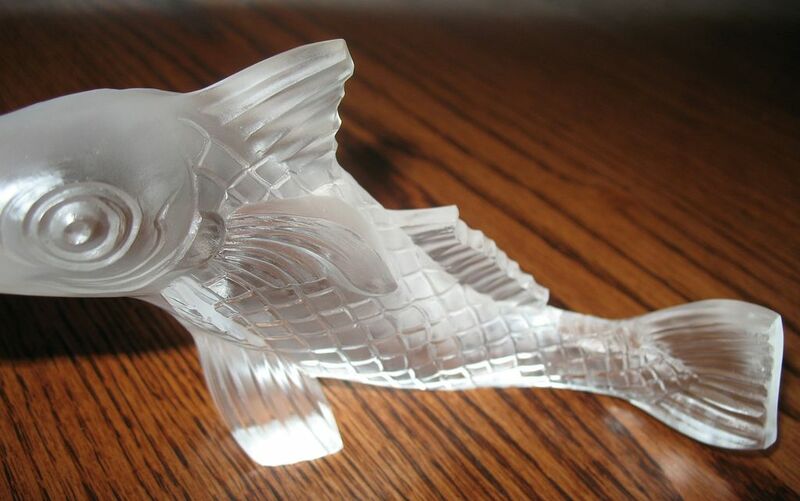 It stands 3" tall and is 6" in length. It is in good condition with no chips or cracks.